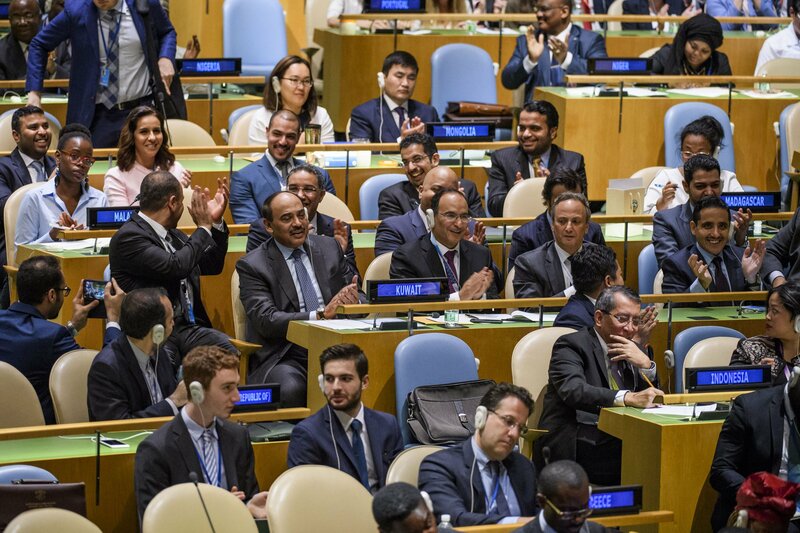 Kuwait was elected on Friday to serve as a non-permanent member of the Security Council for a two-year term beginning in January 2018. 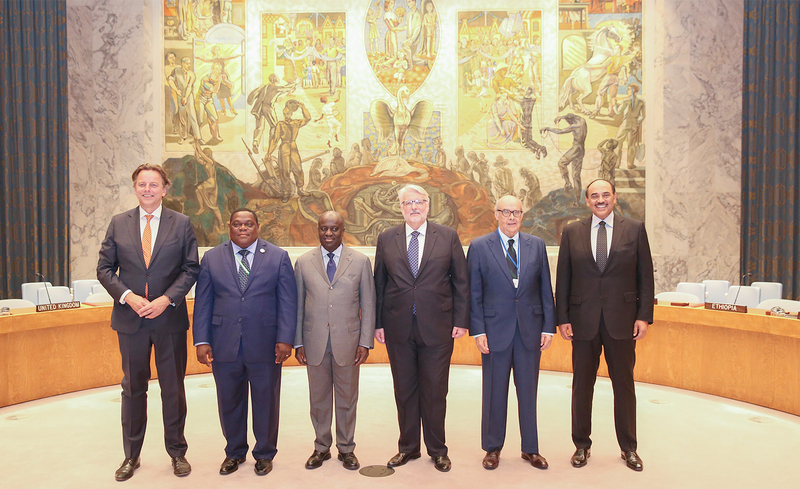 In one round of voting the United Nations General Assembly gathered in its main hall and elected Kuwait, Cote D'Ivoire, Equatorial Guinea, the Netherlands, Peru, and Poland-whom were running unopposed- for the five regional group vacant seats. Out of the 192 ballots, Kuwait received 188 votes, Cote D'Ivoire 189, Equatorial Guniea 185, Poland 190 and Peru 186. The Netherlands takes over from Italy for a one year term, after they agreed to split a two-year term as a non-permanent member for Security Council. They received 184 votes. The five overall seats available for election in 2017 are two seats for the African Group ( Cote D'Ivoire and Equatorial Guniea), one seat for the Group of Asia and the Pacific Small Island Developing States (Kuwait), one seat for the Group of Latin American and Caribbean States (Peru) and one seat for the Eastern European Group (Poland) and one seat for the Western European and Others Group (the Netherlands). The five new members elected this year will take up their seats on January 1, 2018, and will serve through to 31 December 2019. Kuwait First Deputy Prime Minister and Foreign Minister Sheikh Sabah Khaled Al-Hamad Al-Sabah led the Kuwaiti delegation during the voting process, accompanied by Kuwait's Ambassador to the US Sheikh Salem Abdullah Al-Jaber Al-Sabah, Ambassador Sheikh Dr. Ahmad Nasser Al-Sabah, Sheikh Sabah Al-Khaled's Office Director, Kuwait's Permanent Representative to the UN Mansour Al-Otaibi and Deputy Assistant Foreign Minister for International Organizations Nasser Al-Hayyen.